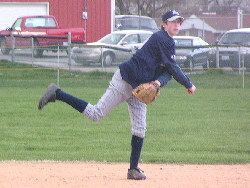 Tanner goes six innings against Dieterich to pick-up his first varsity win. 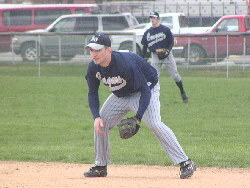 The Cougars opened their 2006 spring season with a pair of games on a cold, blustery day at DuQuoin High School. They were originally scheduled at Kinmundy's Lions Field, but had to be moved due to the frozen field conditions. In game one, the Cougars used the arm of freshman Tanner Bushue to propell them to the 3-0 victory. 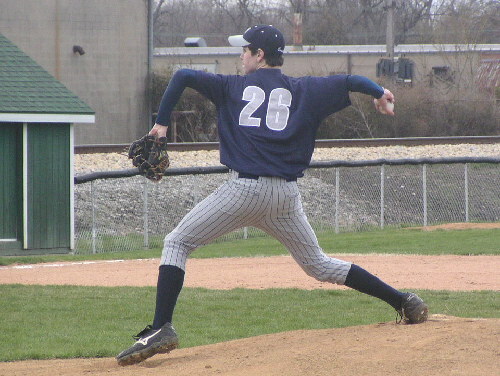 He picked-up his first varsity win by pitching six strong innings, allowing 1 hit on 5 strikeouts and 1 walk. Having not been outside in nearly a week, the Cougar hitters struggled with timing issues, but still managed to get 6 hits in the win. 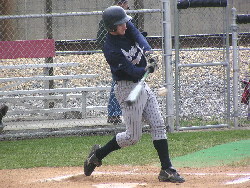 Tyler Mulvany paced the attack with two singles and two RBI's and Spencer Patton added a pair of safeties with a run scored. In game two, the Cougars ran into a buzzsaw in the form of DuQuoin's starting pitcher Bryant George. With a fastball that was clocked as high as 91 MPH, he mowed the Cougar hitters down to the tune of 17 strikeouts in his complete game 2-0 victory. 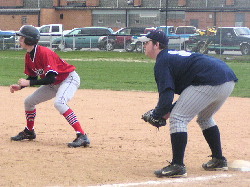 Spencer Patton was equally as tough on the Indian hitters as he pitched six strong innings, allowing only two hits on 10 strikeouts. 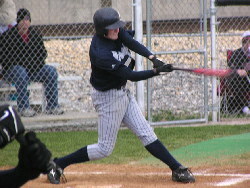 But, he fell victim to three costly Cougar errors and the two unearned runs proved to be the difference. 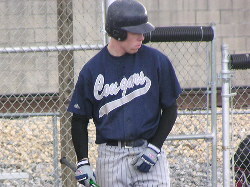 James Gile was the only Cougar to get a base hit, a linedrive single to right to open the 2nd inning. 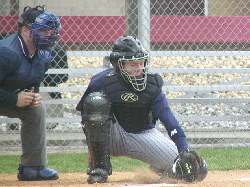 Even though the Cougars put runners in scoring postion in four different innings, they failed to come up with the needed hit each time. Up next for the Cougars is a date with the Altamont Indians on Monday at 4:30 PM.